Prominent & Leading OEM Manufacturer from Noida, we offer controal electric and industrial touch screen hmi panel. 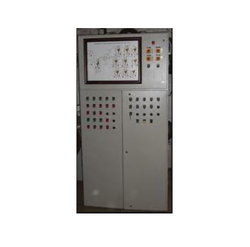 We manufacture the most efficient Mimic Control Panel that gives operators unmatched control on various areas of plant operations. These panels make it easy to control and view the whole plant from a fixed spot in the facility. Operators can quickly identify the exact location of faults in the plant and dispatch technicians to set it right, saving loss of time. It allows operations of the plant to continue uninterrupted. 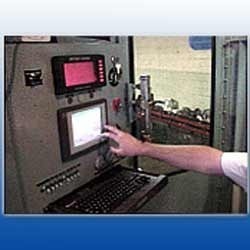 We manufacture and export Industrial Touch screen HMI Panel and HMI that can meet the diverse requirements of the industry. Our touch panels deliver the best touch solutions for all types of environments and touch display applications. Our technologically superior panels are not affected by surface contaminants like dust and moisture and are resistant to corrosion as well.